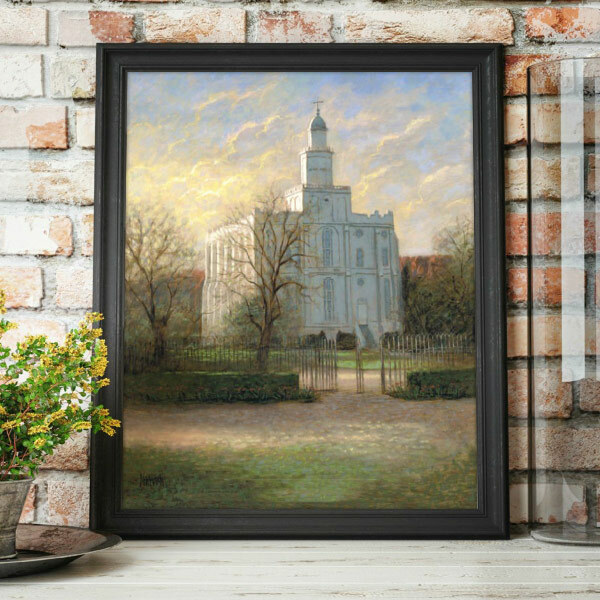 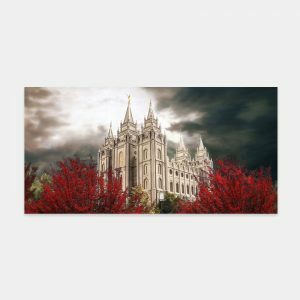 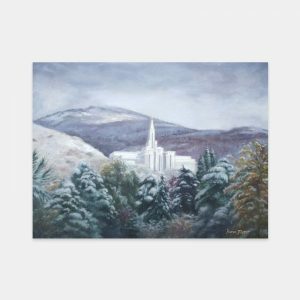 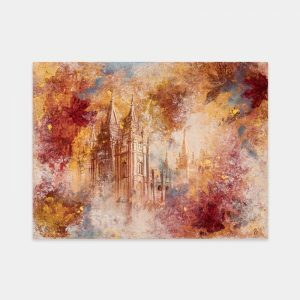 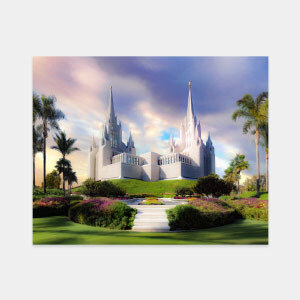 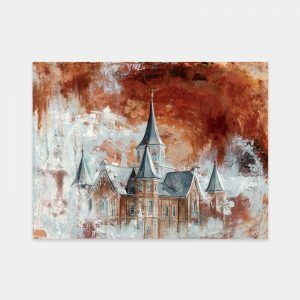 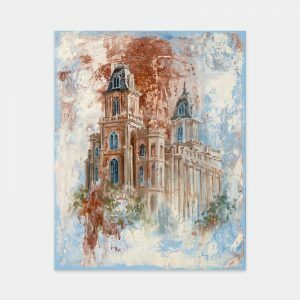 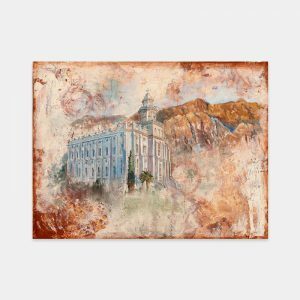 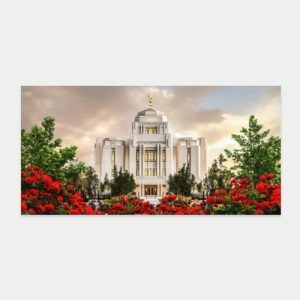 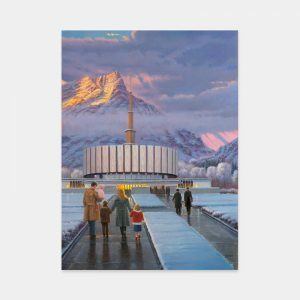 This painting depicts the St. George Utah Temple seen against the red rock cliffs of the city. 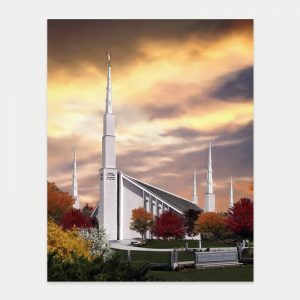 It is one of the original pioneer temples and is a monument to the settlers’ faith and courage. 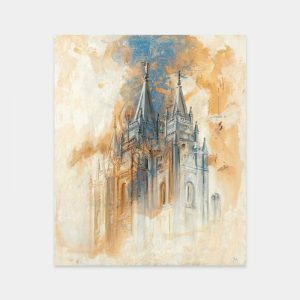 Painting by Jon McNaughton. 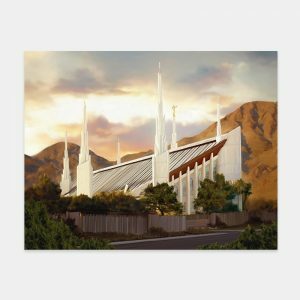 One of the first things visitors see when arriving in St. George, Utah is the beautiful St. George Temple. 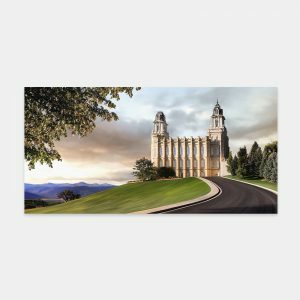 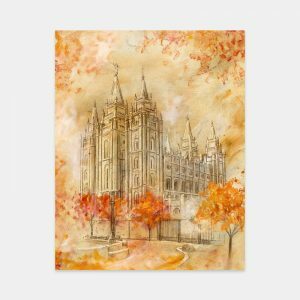 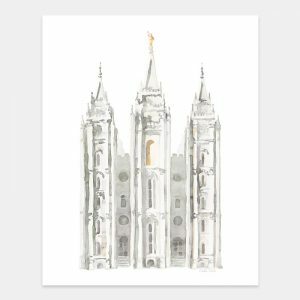 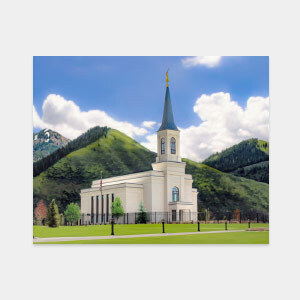 Built by the early Mormon settlers, this structure is a monument to their faith and courage. 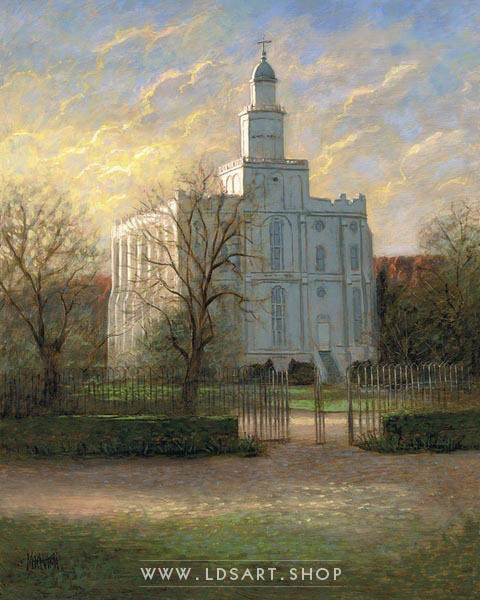 Jon McNaughton chose to paint this piece just as he remembered the scene during a spring evening with the temple seen against the red rock cliffs.